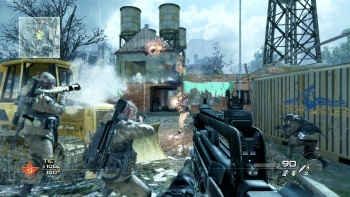 Despite the criticism from fans for its hefty price tag, market analyst Jesse Divnich believes that Activision could have charged more for Modern Warfare 2's Stimulus Pack. Fifteen bucks for five maps seems a lot, especially if only three of the five are actually new, but Jesse Divnich, a market analyst for Electronic Entertainment Design and Research, or EEDAR, says that Activison could have charged a lot more. "The accepted commercial success benchmark for DLC for a console game is 20% of the install base," he said. "The Stimulus map pack was able to reach that benchmark in just a week, and should reach 30 - 35% through its lifetime." "It is evident that 2.5 million Xbox Live players felt that $15 was either just right or a good bargain and given the enormous quantity sold, I'd argue that Activision could have charged more and still obtain the same results ... Of course the rate hike from $10 to $15 was met with many complaints from consumers, but the commercial success makes it evident that gamers felt the price tag was a good deal," he added. Divnich makes a good point, people may have complained about the cost, but they still bought the pack anyway, suggesting that it's just a vocal minority making all the noise. I'm interested to hear what you guys think. Did you buy the Stimulus pack? If so, would you have paid for it if it had been more expensive?